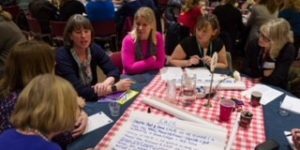 Quality Checkers is a new project where Oxfordshire County Council (OCC), My Life My Choice (MLMC) and Oxfordshire Family Support Network (OxFSN) are working together to improve quality, lives and services for people with learning disabilities and their families in Oxfordshire. NDTi is not for profit organisation working to enable people at risk of exclusion, due to age or disability, to live the life they choose. Frank Wise School is a multiple ‘Outstanding’ community special school for pupils between the ages of 2 and 19 serving the area around Banbury.